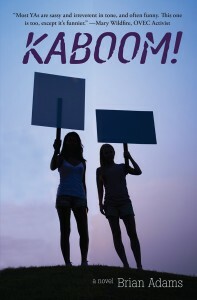 KABOOM!, an expertly crafted coming to age and activism novel, is Brian Adams’ most recent foray into Young Adult Romantic Climate-Fiction. Cyndie and Ashley, two spunky and spirited teens from coal country West Virginia, become activists overnight when their beloved mountain is threatened by Big Coal. This novel tracks the girls’ experience as they start their own club, Kids Against Blowing Off Our Mountaintops, explore the power of grassroots activism, and even as they both begin to fall in love for the first time. The lively interplay of character dialogue and humorous narration not only makes serious environmental concerns more accessible but also inspires teens to evoke positive change in the world around them. A YA novel from Green Writers Press that is sure to ignite readers everywhere! “Mountains go KABOOM! when they are exploded, but there is another type of KABOOM! which can help them remain intact. Brian Adams explains it all for you in the hopeful message of this book.”—Frank E. Grant, Ohio Valley Environmental Coalition. 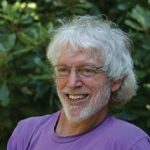 Brian Adams recently retired after teaching for 20 plus years at Greenfield Community College in western Massachusetts where he was a Professor of Environmental Science and co-chair of the Science Department. Brian is active in the climate change movement on and off campus. He has authored numerous health related brochures distributed nationally by ETR Associates. For his first novel, Love in the Time of Climate Change, which was a Foreword Reviews 2014 IndieFAB Gold Medal Winner for Humor, he drew heavily on his experiences teaching and working with students. Brian lives with his wife in Northampton, Massachusetts and now devotes his time to writing romantic comedies centered around environmental activism. Author book tour planned from Vermont to West Virginia.